If you’re afraid to answer the phone for fear it’s a creditor; if you use one credit card to pay another; if you’ve lost your job, been ill, or divorced; or if you just don’t have the money to pay your bills, BANKRUPTCY may be your best solution. ADAMS LAW OFFICES is a debt relief agency. 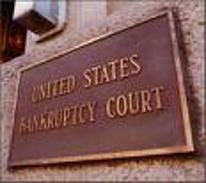 We help people file for Bankruptcy under the U.S. Bankruptcy Code. We have helped hundreds of individuals in financial need wipe the slate clean for a fresh financial start. Only you can TAKE THE FIRST STEP: Call 816-228-1776 today to set up your free consultation. We will be happy to see you and will help you make this difficult decision based on intelligent review of your finances. Read the information below and give us a call. We’ll be expecting you! 1. I heard the law changed and I can’t file bankruptcy any more. The bankruptcy code is still there as a safety net for those Americans who have serious financial problems. We can look at your individual situation and tell you whether or not bankruptcy is right for you. 2. How much will it cost me to see the attorney? Your first appointment is absolutely free. We will evaluate your unique circumstances and advise you whether or not bankruptcy will be in your best interests. 3. Will I lose all my property? No. The law allows you to keep certain exempt property. In Missouri, those exemptions are allowed by state statute. You may even keep your house and automobile if you can show the ability to continue paying for them. 4. Will filing bankruptcy ruin my credit? Chances are, if you are considering bankruptcy, your credit has already been damaged. Filing bankruptcy removes burdensome debt which will allow you to rebuild your credit in a surprisingly short period of time. 5. What debts do I have to list, and will they all go away? When in bankruptcy, you are required to list ALL creditors including house, car, taxes, student loans, credit cards, loans, medical bills, and any other debt you may have. Some of these will be discharged in the bankruptcy, some will not, depending on YOUR financial condition. Only a consultation with an experienced bankruptcy attorney can completely answer this question. 6. I’ve heard of Chapter 7 and Chapter 13. What’s the difference? A Chapter 7 bankruptcy is referred to as a “total liquidation”. People whose income falls below the median are usually eligible for a Chapter 7. A Chapter 13 bankruptcy is helpful for those people whose income is above the median or who have too much non-exempt property to qualify for a Chapter 7. Chapter 13 bankruptcy requires a monthly payment for a period of three to five years. 7. Is there anything I should be doing? Stop paying credit card and other bills you will discharge. Do not give away any property. Do not make preference payments to family members or others. Do not make any major financial moves without consulting with your attorney. Start collecting all your past due bills to bring with you to our office. If you owe more than your car is worth, start considering alternatives to reaffirmation. Many dealers are willing to lend to you once you are discharged from bankruptcy. It is ok for family to loan money to you for a car purchase after you file bankruptcy. You can purchase an inexpensive “old reliable” to drive temporarily. You can borrow a car from family to drive temporarily. DO continue paying your house payment and your car payment if you intend to keep them. (And, of course, continue to pay your every day living expenses such as utilities).